Qvar (generic name: beclomethasone) is a drug used to inhibit the release of substances in the body that trigger inflammation. It’s classified as a steroid, and it’s used to prevent asthma attacks in adults and children aged five years and up. Qvar is not used to treat an asthma attack that has already begun. 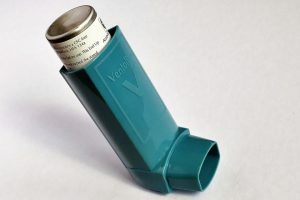 It will not work fast enough to treat an ongoing asthma attack. It’s advisable to use a fast-acting inhalation medicine when this happens. Individuals with the following conditions should seek the advice of a healthcare professional before starting Qvar treatment. Women who are pregnant should consult with their healthcare provider before using Qvar. However, those who are breastfeeding should not use Qvar as it may harm a nursing baby. Individuals who use Qvar should not come near people who are sick or have infections, particularly those with chicken pox or measles. The latter can lead to serious and even life-threatening complications for those under steroid medication. If the following are seen, immediately seek medical assistance. The side effects of Qvar can damage the body’s endocrine, respiratory, gastrointestinal, nervous, musculoskeletal and cardiovascular systems. Lobelia. Add half a dropper of lobelia tincture in a room temperature cup of water and drink it, or apply it topically to the chest. Clary sage essential oil. To get its airway clearing ability, put it in a diffuser, a bowl of steaming water, or even the floor of a shower. Magnesium. It has muscle relaxant properties, making it ideal for clearing the airways. Cod liver oil. Its anti-inflammatory properties help reduce instances of asthma throughout the day. Nettle. Taking freeze-dried nettle before being exposed to an allergen can greatly lower the chances of an asthma attack. Turmeric. A safe and nutrient-filled spice, turmeric has anti-inflammatory properties which can help prevent an attack. It’s also best to eliminate food dyes and gluten in the diet to get the full effect of the potency of these herbs in treating asthma. The landmark side effect after taking Qvar is a sore throat. Here are some natural ways to treat this condition. Salt and hot water. Mixing ¼ teaspoon of salt in a cup of moderately hot water and gargling with it helps relieve the burning sensation that comes with a sore throat and promotes the fast healing of inflamed mucous membranes. Lemon and water. A teaspoon of lemon in a cup of water is a famous home remedy for a sore throat: The astringent juice creates an acidic environment for viruses and bacteria while helping shrink swollen throat tissue. Green tea. It’s known to fight infections naturally, and gargling some of it can help get rid of bacteria in the throat. Qvar is used to prevent the release of substances in the body that trigger inflammation. Qvar is a steroid, and it’s used to prevent asthma attacks in adults and children aged 5 years and up. Qvar is not used to treat an asthma attack that has already begun. Qvar can pass through breast milk and harm a nursing baby. People who use Qvar and are exposed to those with chickenpox or measles are at risk of serious and even life-threatening complications. Qvar can harm the body’s endocrine, respiratory, gastrointestinal, nervous, musculoskeletal and cardiovascular systems.